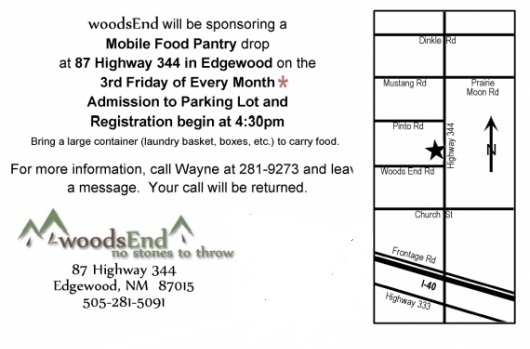 I am one of the organizers of the woodsEnd Mobile Food Pantry. I would like to correct the information shown above. The parking lot will open at 3:00pm, and registration begins at 3:45pm. Also, please call the church office at 281-5091 for more information. I have posted a correction to reflect your information above. I will call tomorrow.